From the moment you enter you know you are somewhere special… the lobby doubles as a second living room with a book filled library, comfortable seating where you can lounge and listen to music. The door man is happy to assist you with your packages or help select a book or movie to rent. The work out room is right next door with TV monitors if you are feeling more energetic. Walk into your brand new unit and enjoy the private view facing the green views of Murray Park, with ball field and playground. Never before lived in, your kitchen is equipped with quartzite counters, ceramic floors and stainless steel appliances including your own washer/dryer. 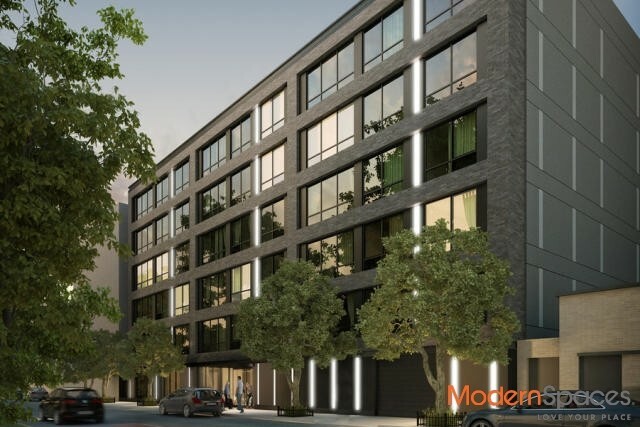 One Murray Park is only a few blocks from the E, M and 7 trains… you can be in midtown in 6 minutes. Roof deck with amazing panoramic views of Manhattan and BBQ! Sorry No Pets. 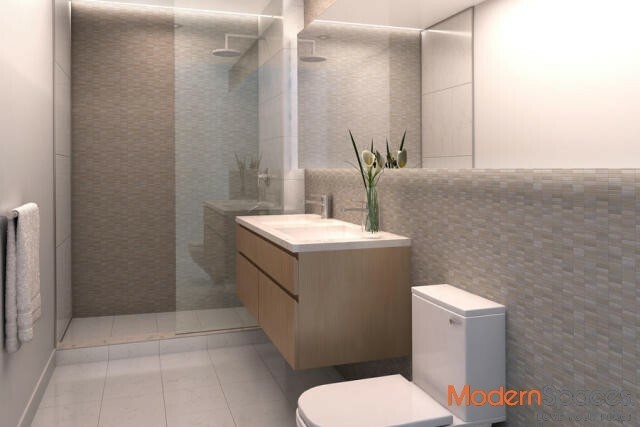 Call Mary Beth @ 415-225-0463 or email MaryBeth@Modernspacesnyc.com to see!!! From the moment you enter you know you are somewhere special... the lobby doubles as a second living room with a book filled library, comfortable seating where you can lounge and listen to music. The door man is happy to assist you with your packages or help select a book or movie to rent. The work out room is right next door with TV monitors if you are feeling more energetic. Walk into your brand new unit and enjoy the private view facing the green views of Murray Park, with ball field and playground. 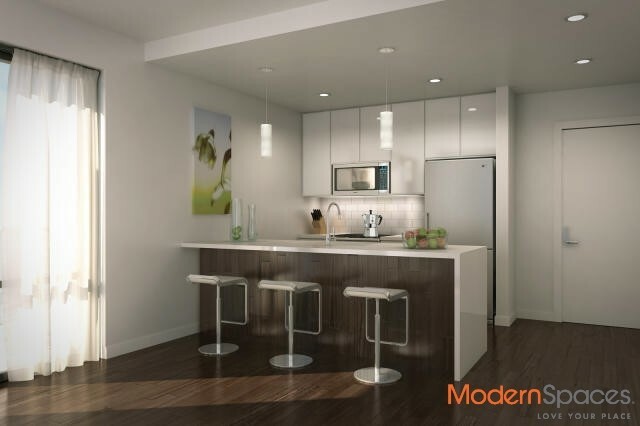 Never before lived in, your kitchen is equipped with quartzite counters, ceramic floors and stainless steel appliances including your own washer/dryer. One Murray Park is only a few blocks from the E, M and 7 trains... you can be in midtown in 6 minutes. 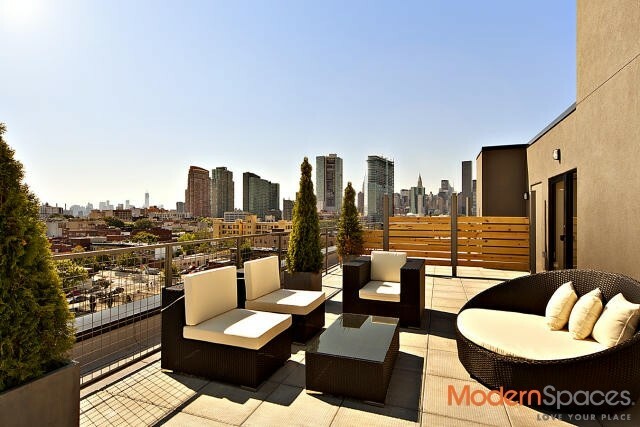 Roof deck with amazing panoramic views of Manhattan and BBQ! Sorry No Pets. 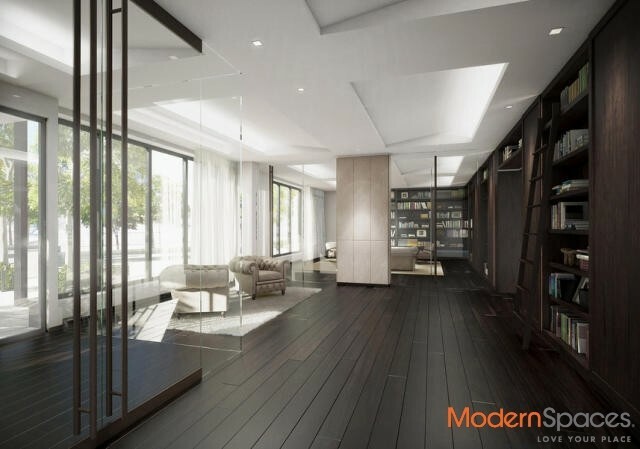 Call Mary Beth @ 415-225-0463 or email MaryBeth@Modernspacesnyc.com to see!! !